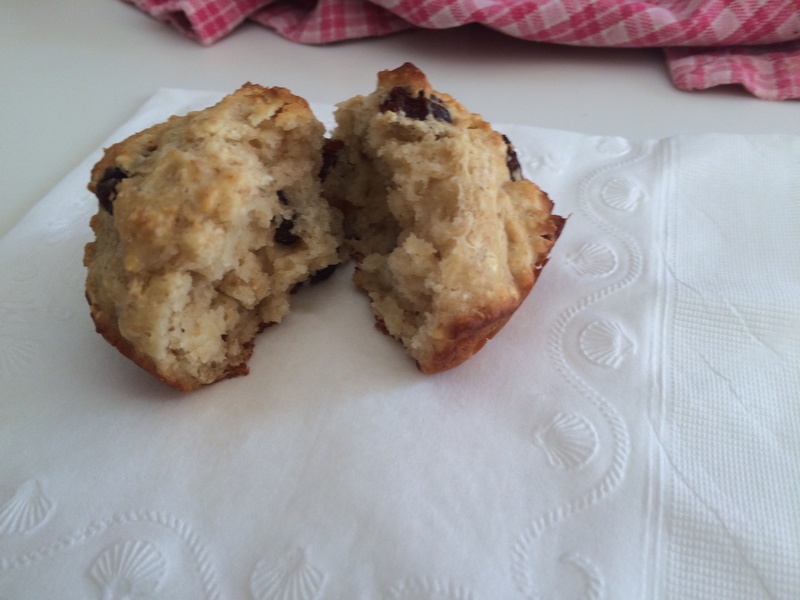 Who doesn’t love Irish Soda Bread?!?! With St. Patrick’s Day coming up I thought I would bake up a batch. Although I am partial to the delicious loaf of bread my family normally gets from the local bakery, I decided to make a homemade version. I made the classic bread with a twist. I knew I wanted to make it with some whole-wheat flour and less sugar if possible. After scanning some websites and Pinterest pages, I found the perfect one! I used a recipe from skinnytaste.com and it was delicious. What I liked about this recipe was the use of the whole-wheat flour, the honey instead of sugar, and the idea of making the bread in the muffin tins! 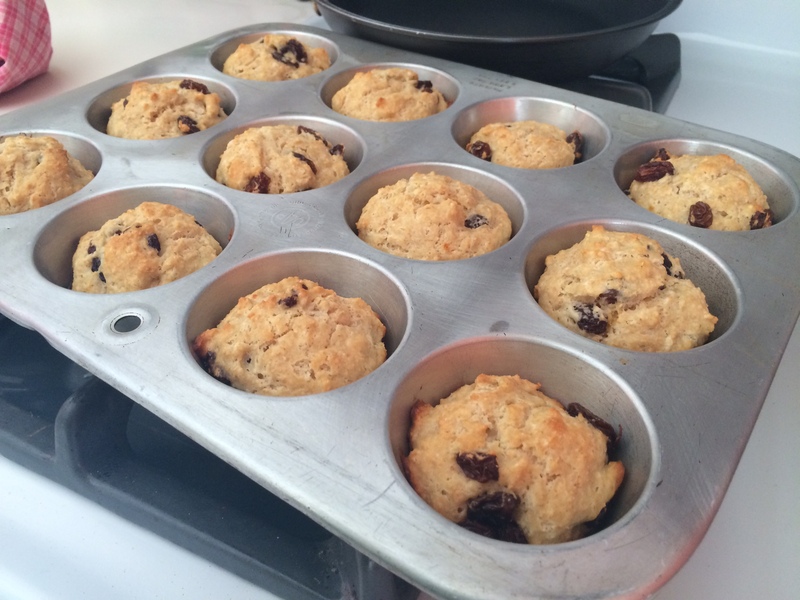 With the muffins tins it makes it easier to store and they can be frozen very easily. After going to the store to pick up some ingredients it was time to make the muffins. First, I combined all the dry ingredients in a large mixing bowl. 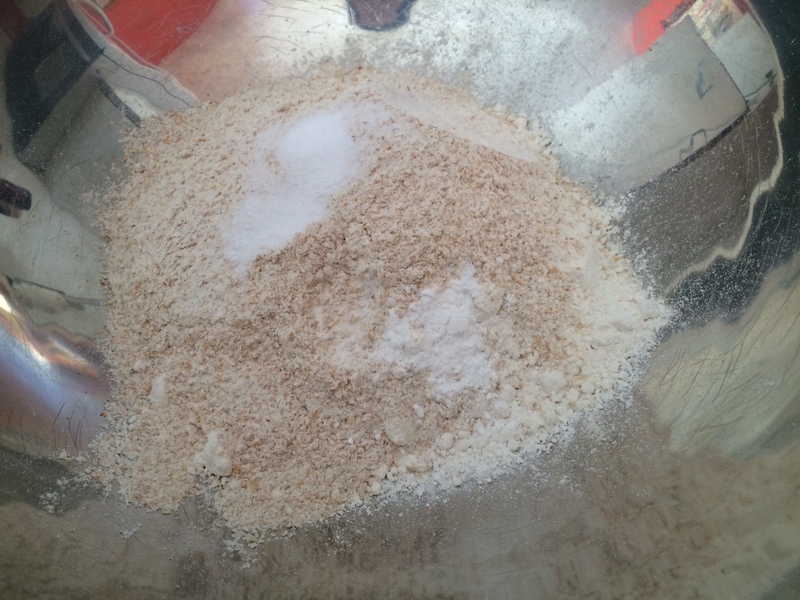 That included the whole-wheat flour, AP flour, baking powder, baking soda, and some kosher salt. After all the dry ingredients were together, the next step was to add the cold butter to the bowl. A while back I learned a trick about butter to breads and pie crust. The colder the butter, the better the dough will be. Since the butter melts when the batter cooks it is important for it to stay cold. A trick to adding the butter in the mix so it spreads evenly is to use a cheese grater. I know what you are thinking, a cheese grater? But yes, it works. It spreads the butter evenly in the mix and keeps it cold at the same time. It also is faster when cutting it with the dry ingredients in order to keep the coldness up to create a coarse texture. Overall, it works as a great trick. After the butter is combined with the dry mix and it has a coarse mix to it, it is time to put together the wet ingredients. 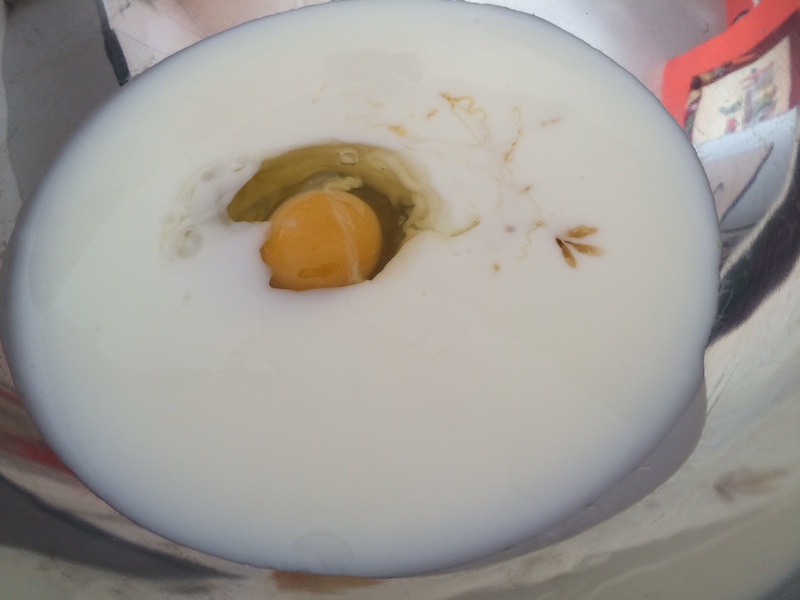 This calls for the buttermilk, honey, and egg to be mixed together. In the recipe I used, it says you can use honey or agave. I choose the honey but it would be interesting to see if it made a difference when using the agave. Maybe next time. 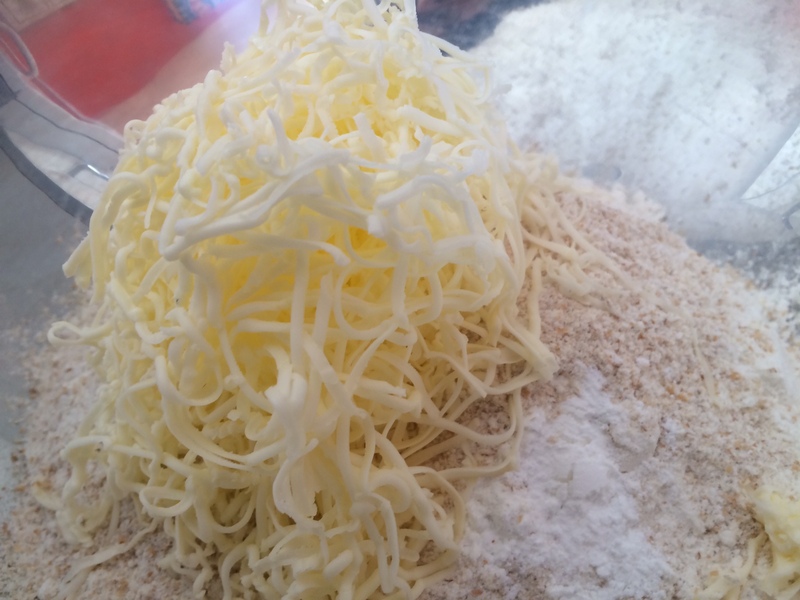 After the wet ingredients were mixed together I combined them with the dry ingredients to create the batter. 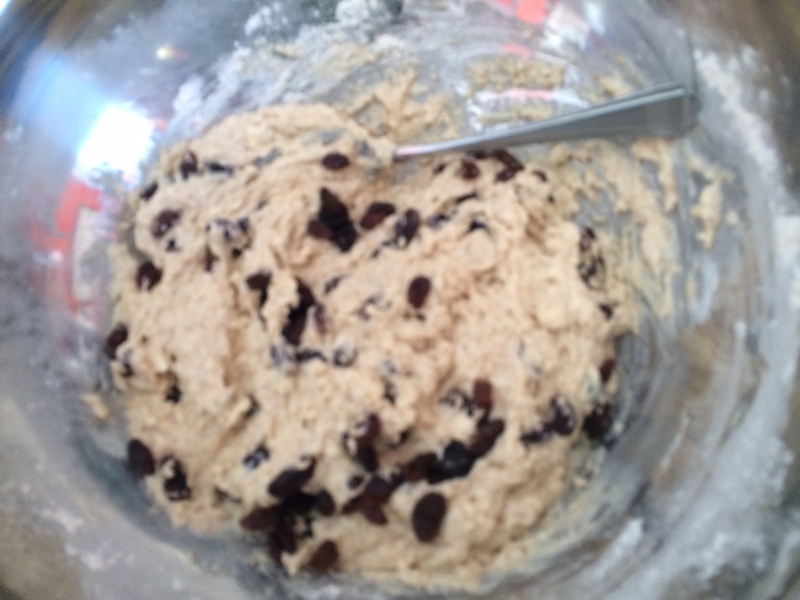 After that was cohesive, I added in the raisins. Once everything was set I spooned the batter into the muffin tins, about 2 tablespoons of batter in each slot. I set the timer for 20 minutes and let them cook at 375. After they were fully cooked I took them out of the oven and let them cool. I was kind of impatient and had to take a bite of one before they were cooled down completely. One suggestion though: wait for them to be cooled down to a warm temperature. The muffins were good when they were hot but the second bite tasted better when it was just warm. This is a recipe I would definitely make again. They are the perfect size and taste delicious. The full recipe can be found below and detailed instructions can be found off of the recipe I used here. Combine all the dry ingredients in one bowl. Next add the butter in until the mixture looks coarse. Next add the wet ingredients all together. Add the wet ingredients to the dry and stir until fully mixed together. Stir in the raisins. Add the mixture to the muffin tins and cook at 375 for about 20 minutes or until the muffins are golden brown on top! Enjoy!